Scotts GrubEx Grub and Insect Control 14.35 lb. EcoSmart Insect Killer 10 lb. Orange Guard Home Pest Control Organic Insect Killer 128 oz. Natria Organic Insect, Disease & Mite Control 24 oz. Bonide Mosquito Beater Insect Repellent Granules For Mosquitoes 1 gal. Scotts GrubEx Grub and Insect Control 31 lb. EcoSmart Insect Killer 9 oz. BioAdvanced Grub and Insect Control 10 lb. BioAdvanced Insect Killer 12 lb. St. Gabriel Organics Milky Spore Granular Organic Grub and Insect Control 20 lb. Sweeney's For Gophers/Moles Animal Repellent 10 lb. Bonide Systemic Houseplant Insect Killer 8 oz. 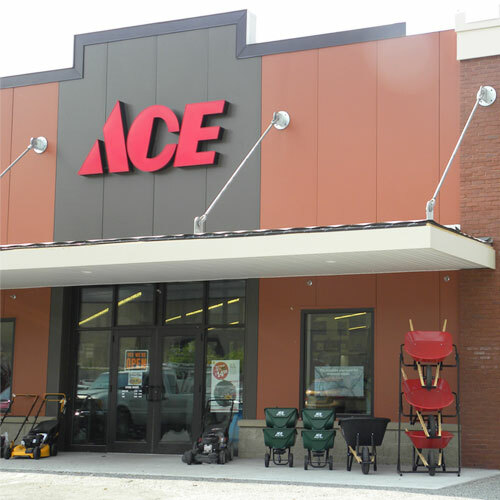 Explore Ace Hardware's wide selection of pest and insect control products. From humane animal traps, to mechanical and chemical deterrents, you'll find everything you need to keep pests at bay. Browse product categories from the main page, and use the sidebar tool to sort results by price, brand, intended use and customer feedback. No-kill, catch-and-release animal traps provide a humane alternative to other, more harmful pest control solutions. Ace Hardware offers a wide selection of durable, assembly-free, live animal traps, ranging in size to trap animals of any size. Helpful Hint: To maximize your chances of capturing pest animals, try placing a two-door animal trap lengthwise against a fence or wall. If possible, camouflage the trap with dirt and water, and cover it with foliage and twigs, to reduce glare and mask human odors. You can also place bait in a small hole under the trap's trigger plate. Of course, choose species-specific bait. To repel rather than capture pest animals, consider buying an animal repellent. Most are harmless, and once set up, require little in the way of attention or maintenance. We even offer a variety of non-toxic repellents created with highly concentrated essential oils or secretions from predatory animals to keep creatures safely off your property. Helpful Hint: If your garden or yard is overrun with a variety of animals, consider a motion-activated pest repellent. Easily connected to a garden hose, such systems emit bursts of water and noise, startling and dissuading most animals. If you need to rid your home of noisy birds, shop our selection of bird spikes. These harmless, upwardly-angled spikes deter birds from landing on your home, in your garden or on freshly-treated lawns. From plastic spikes for smaller birds to stainless steel options for heavier animals, Ace has a wide selection of bird spikes for you to pick from. Helpful Hint: Since birds are also frightened by bright light and sudden movement, consider combining highly-reflective Mylar flash tape with bird spikes. Hardware's extensive range of bug killer and insect control products keeps irritating insects away. Shop our selection of torches, bug zappers, spray repellents and Citronella candles to find the right product for your needs. Helpful Hint: For serious insect infestations, browse our array of liquid pesticides. Many are non-toxic, created with essential oils and garlic to kill insects without harming you or your family. Moles, gophers, skunks, squirrels, chipmunks, voles, rats, woodchucks and mice can cause serious damage to your property. From tunnels that undermine the integrity of your yard, to foundational harm, short-circuited wires, ruined insulation and decimated food supplies, these crafty creatures can quickly become a homeowner's worst nightmare. Ace Hardware is here to help. Browse our assortment of mole traps, rodent control systems, spring-loaded and glue-based mouse traps, plus electronic options to keep any rodent from harming your home. Ace knows pest control. With a wide range of mechanical, chemical and electronic products, we have everything you need to keep flying insects, creepy crawlies, outdoor animals and household pests away.